The end of May brings together three of the world's leading motorsports series on the same day with breakfast in Monaco, lunch in Indianapolis and dinner in Charlotte. Across all three races, Shell technology powered the top teams showcasing its track to road prowess. While there are weeks of build up for all three races, no other event comes close to matching the Indianapolis 500 in scale, heritage and passion. The 102nd Running of the Indianapolis 500 brought together celebrities from every discipline and over 300,000 spectators to experience the largest single day sporting event in the world. Scroll through to relive the weekend and continue to celebrate Team Penske's record-extending 17th Indy 500 win. Having a chat with VP of USA @indycar @indianapolismotorspeedway talking about its fast Friday!! Falando com o VP dos USA sobre a preparação para amanhã!! Keep looking forward! #MondayMotivation Race week is here! 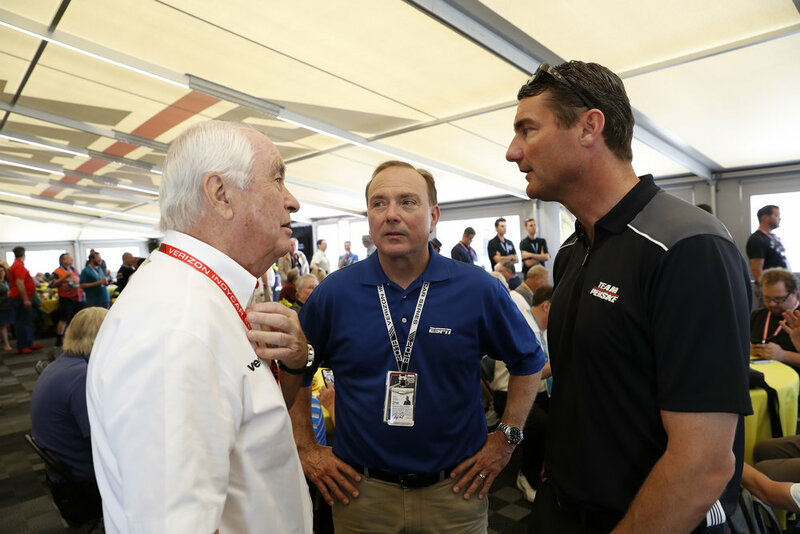 On the Thursday leading up the Indy 500, we hosted over 130 members of the media for a special event and luncheon featuring the partnership between Pennzoil and Team Penske. Mark Henry, Brand and Communications Manager of Shell Lubricants kicked things off and was among the first to welcome everyone to the weekend. He also introduced Helio Castroneves' new 30 second TV spot, featured below. The yellow submarine only uses the yellow bottle. pennzoil synthetics. The rich collection of media including members from ESPN, NBC Sports, USA Today, ABC, Autoweek and more were all treated to close up time with the eventual Indy 500 winner, Will Power. All of this over the delicious food prepared by Team Penske, the same food that fuels the drivers and crew throughout race weekend. To finish, Pennzoil promised that all media in attendance would receive an exclusive first look of the Pennzoil “Make the Switch 2.0” TV spot on the day its released. 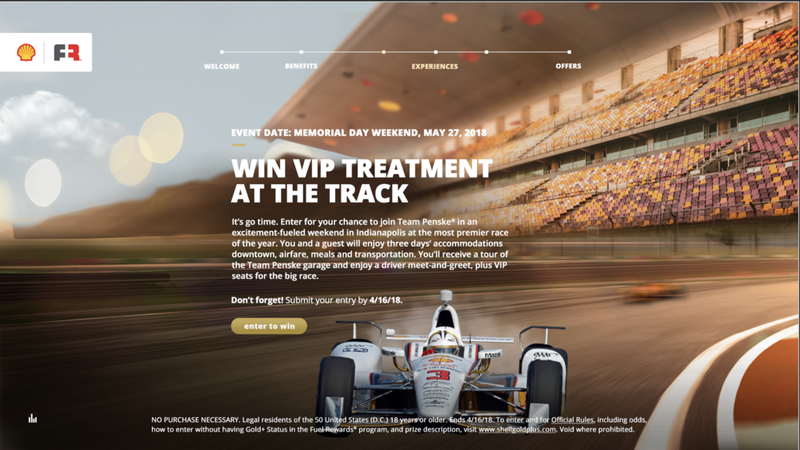 An exclusive experience at the Indianapolis 500 was 1 of 3 experiences built just for Fuel Rewards Gold+ members. The contest was focused on the 500,000 most loyal and frequent Shell users. Leading up to the end of the contest, the Indy 500 experience had 17,000 entries (compared to the 11,000 for the Country Music Awards experience). Check out the contest entry page below. 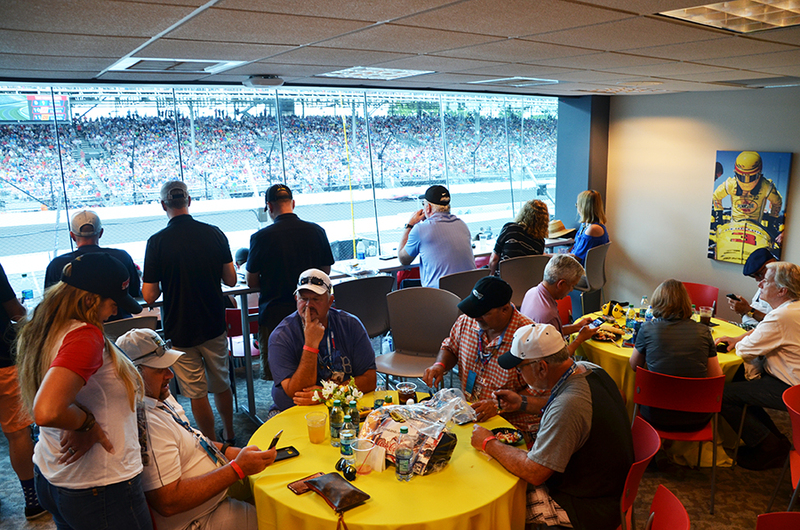 Two lucky winners were chosen and treated to the ultimate time at the Indianapolis 500 full of behind the scenes access, luxury viewing, and can't be bought experiences. The weekend began with an in depth tour of the Team Penske garages looking into all four cars, including the eventual winning car of Will Power. 3-time Indy 500 winner, Helio Castroneves, welcomed the guests into his "office" by explaining the preparation and technology it takes to race 500 miles at 230mph. Guests also got to see the legendary Indianapolis Motor Speedway Hall of Fame Museum with some time to explore the grounds further. On race day, our guests were escorted by local police from the JW Marriott to the race. 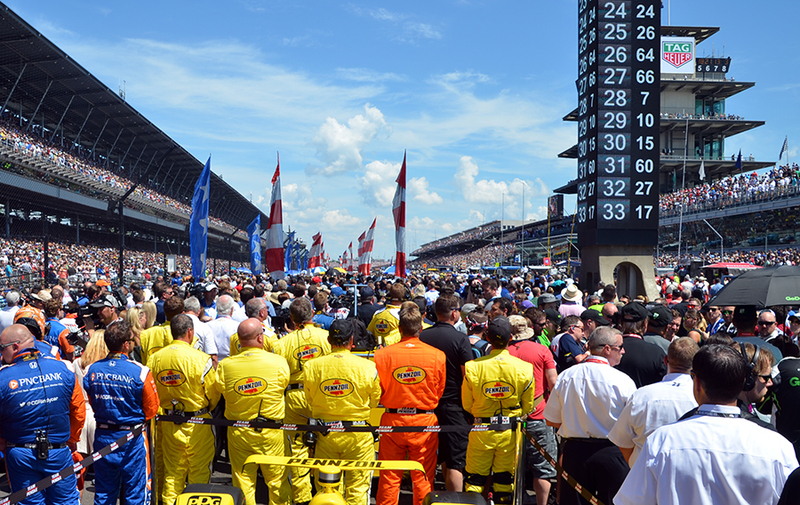 It was time to soak in all of the pre-race ceremonies that make the Indy 500 so special. When the race began, they had the ultimate vantage point from the Suites looking over the famous front stretch of the Speedway. 3-time Indy 500 champion Helio Castroneves explains the technology that goes into his IndyCar through an intimate meet & greet with the Shell and Fuel Rewards Gold+ winners. Shell continues to reward loyal users with exclusive experiences and savings. The Indy 500 was one of three experiences in 2018 that Gold+ Fuel Rewards members could win. 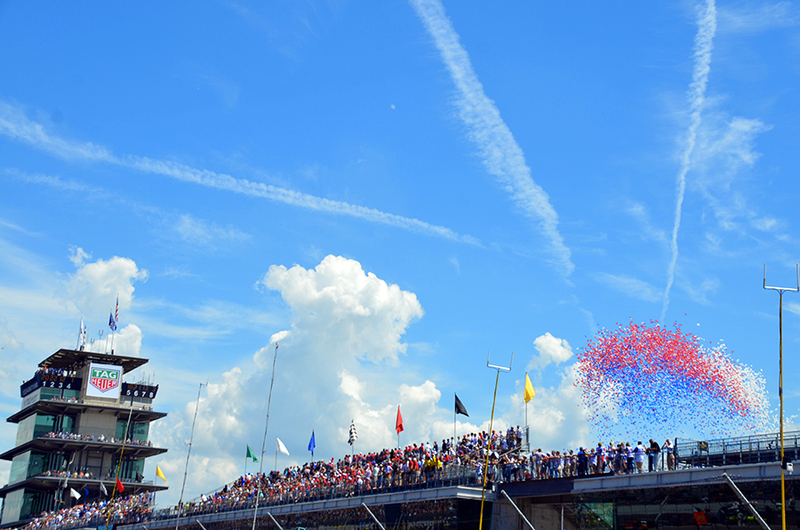 To attend the Indy 500 is one thing, a massive bucket list event in any lifetime. But to attend the Indy 500 with such remarkable access is something completely different. On Saturday evening there were even a handful of select guests who got to have dinner with the eventual winner, Will Power. Guests were able to feel the preparation and intensity Team Penske goes through ahead of the race leading all the way up to seeing Helio Castroneves strap in the car on the grid moments before the green flag. That feeling of being part of the team is something only a partnership can provide. "We had a great time at our first trip to the Indy 500. Thank you for making last weekend a truly once in a lifetime experience." "Thank you so much for the pictures. Todd and I had an amazing time at our first Indy 500, and he and I really enjoyed the time in the Team Penske garages getting to see race preparations up close and meeting Helio and Tim. Thank you for being our guide over the weekend, and helping make this past weekend so memorable." "All the arrangements were well done and our people were very satisfied with everything. It was extremely interesting to see and feel the excitement in the pits and hear how everything is done. You guys gave a 'once in lifetime' experience to many of our people!